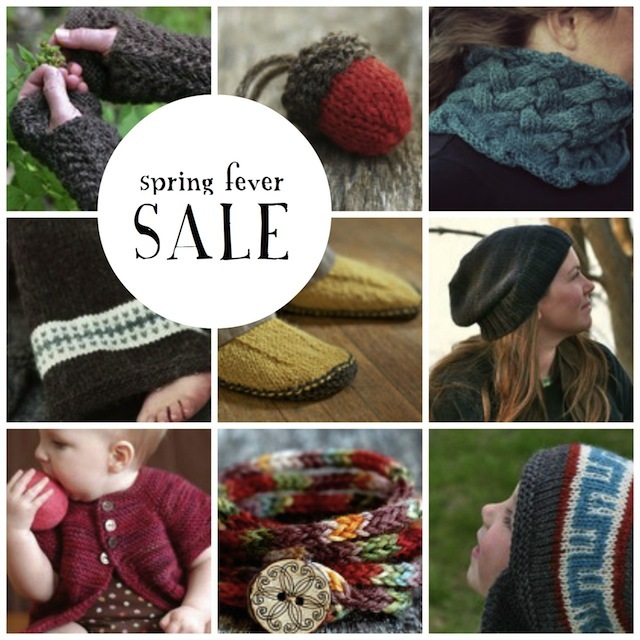 It's still snowing here in Wisconsin, so we're having a Spring Fever Sale! Buy 2 knitting patterns from our Ravelry Shop and get 1 FREE! Use Coupon Code 3for2 at checkout.